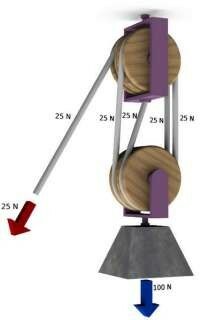 A lever is a bar that rotates at a fixed point, fulcrum. The input force is the force used to move the lever. 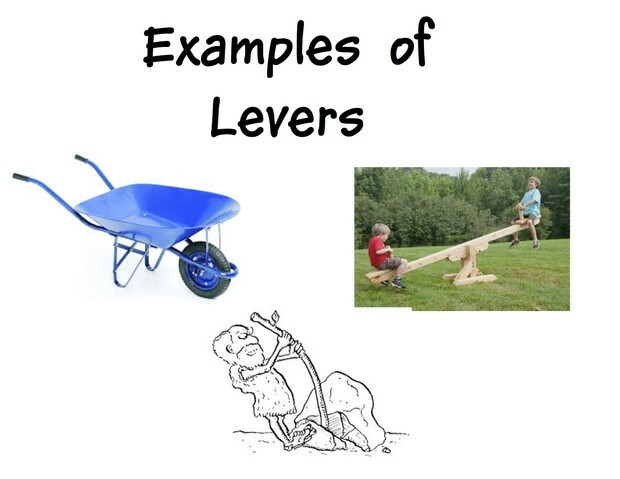 The object being lifted by the lever is called the load. The closer the object is to the fulcrum, the easier it is to move. The greater the distance over which the force must be applied, the smaller the force required to do the work. There are three types of levers (first class, second class, and third class). To increase mechanical advantage: Make the lever longer or move the fulcrum closer to the load. A simple machine with a grooved wheel that holds a rope or a cable. Pulleys work by applying an input force to the end of the cable and the object lifted is called the load. The load is attached to the other end. A fixed pulley is connected to something that does not move. Movable pulleys are connected directly to the object that is being moved, which is the load. A block and tackle is a pulley system formed when you use a fixed pulley and a movable pulley. As you increase the number of pulleys, it takes less force to pull the rope. The distance you have to pull the rope increases. It is a simple machine that is made up of two round objects that move together. 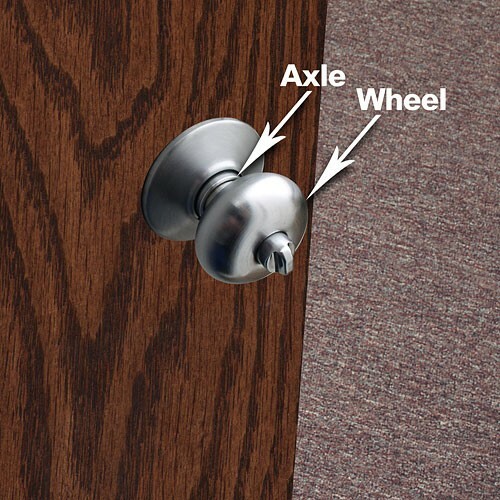 The larger object is the wheel and smaller one is the axle. When a small input force is applied to the wheel, it turns in a circular distance. When the wheel turns, so does the axle. The axle is smaller than the wheel. Since the axle turns a smaller distance, the output force is larger than the input force. The larger the diameter of the wheel, the less effort you need to turn it, but you have to move the wheel a greater distance to get the same work done. A simple machine that is a flat, slanted surface. A ramp is an example of an inclined plane. It's easier to move a heavy object with an inclined plane rather than lifting it up. The input force is smaller than the object's weight. The same work is done, but it happens over a longer distance. 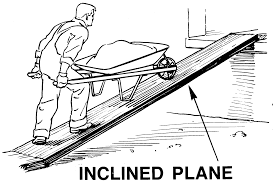 A wedge is made of two inclined planes that move. A wedge can separate things or hold them together. A wedge needs a small input force over a large distance. 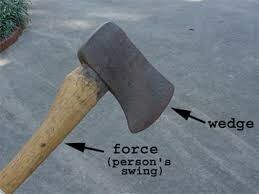 The output force of the wedge is larger than the input force. 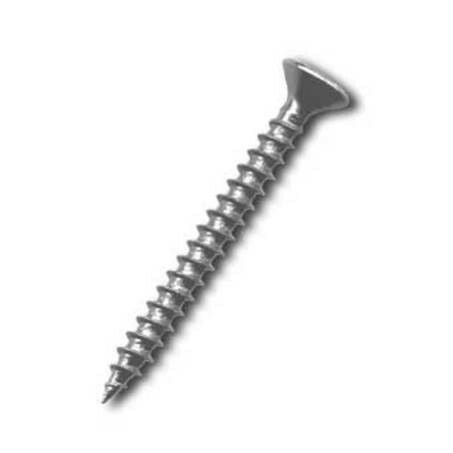 A screw is an inclined plane that is wrapped around a cylinder. A small force is over a long distance is needed in order to turn the screw. The screw applies a large output force over a short distance. Compound machines are machines that are made of two or more simple machines. 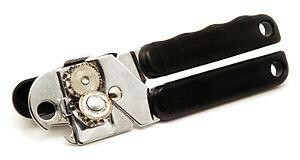 A can opener is a common example of a compound machine. The handle is a second class lever, the knob is a wheel and axle, and a wedge is used to open the can. The mechanical efficiency of most compound machines is low. This is because compound generally have more moving parts which means more friction. Friction lowers the output work.